The Last Panthers is arrestingly good. 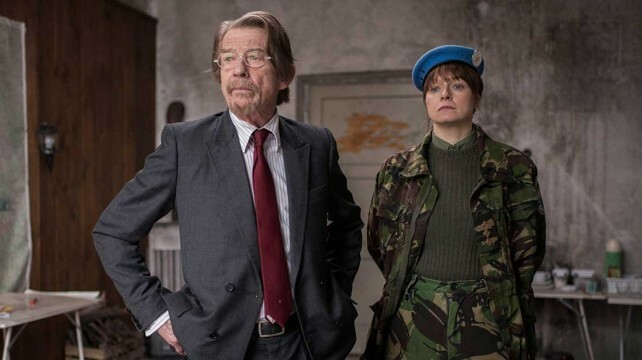 The Last Panthers, SundanceTV’s latest import (this one from France’s Canal+), is a multi-lingual six-part limited drama series loosely inspired by the real life case of the Pink Panther jewel thieves. A gritty crime drama, it opens with a particularly scrappy diamond heist, reminiscent of those true events, before leaping into uncharted fictional territory, wherein the robbery inadvertently claims the life of a 6-year-old girl caught in the crossfire during the police pursuit. In the wake of that tragedy, an equally determined cop (Tahir Rahim) and dogged insurance agent (Samantha Morton) team up to bring in the escaped thief (Goran Bogdan) they hold responsible. From there, the holy trinity of heist dramas arrives, its members on a collision course: the cop, the criminal and the invested corporate party. Taking the principle of a slow burn seriously, The Last Panthers takes a while to ignite. It shows glimpses that keep one interested, intrigued as to how all of these jagged pieces will somehow fit together and of course, how this will or can be resolved without claiming the lives of every character involved in the melee. With so many fragmented plots and scattered characters, it is hard to imagine how all of these pieces can be weaved together; but by the second episode, it starts to show you. Like last year’s Netflix original series Bloodline, The Last Panthers requires a bit of patience before it can catch fire – yet when it does, the flames are downright inextinguishable. 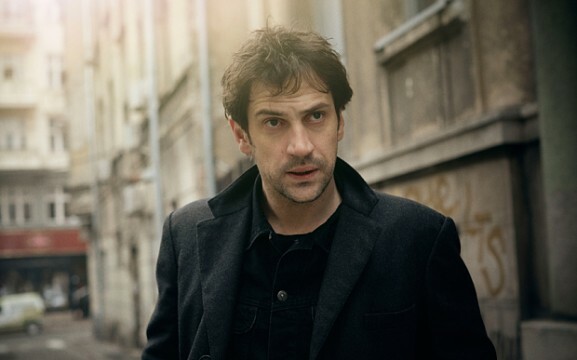 Helping this cause is an intriguing central performance from Bogdan as the mysterious thief, Milan. He’s a character devoid of flashy dialogue or giant action sequences to add any Hollywood razzle-dazzle, but Bogdan ensures he remains interesting nonetheless. The character’s strengths rest in the understated, raw and genuine verve often attributed to entertainment’s portrayal of the morally ambiguous outlaw. Bogdan gives you a sense there is always something boiling just beneath the surface of his character’s wounded demeanor, and it works to create an edgy atmosphere of foreboding, which the series leverages to magnificent effect. In the end, his is the only character whose motivations make pure sense. As is typical for the genre, the criminal is the most fascinating and multi-dimensional character at play here, with Tahir Rahim’s righteous cop placing a close second. The only ill fitting character in the ensemble is Samantha Morton’s Naomi, a frosty UN peacekeeper turned loss-adjuster bulldog. Her personal motivation and omnipotent instincts are as hard to rationalize as those of intrepid investigator Molly Solverson’s in the first season of Fargo. Wading through her plot is when the series encounters the largest roadblocks to building its momentum. The only redeeming attribute on that front is the inclusion of her ruthless boss (a perfectly cast John Hurt). Balancing as many characters as The Last Panthers attempts to is a tricky undertaking. It is one that last year’s magnificent Italian crime drama Suburra handled to a more fluidly cohesive outcome. In comparison to SundanceTV’s German-language import Deutschland 88, the series fails to capture your attention as quickly, which probably has more to do with Deutschland’s more streamlined ensemble than overall quality. On a visual level, the two share a lot more in common. Both have an overcast cinematography with a color palette bled beyond recognition. In a lot of ways, The Last Panthers might as well have been shot in black and white. Clearly done with the purpose of intimating the story’s dark and ominous tonality, it proves excessive. This is especially apparent in the awkwardly interspersed flashbacks, each of which flesh out a key character’s backstory. Due to the preexisting, dreary, fluorescent lighting, it is markedly difficult to spot the timeline shift. The monochrome glaze used to signal the change is hard to recognize given the present day’s already drained tint. Livening up the visuals is left to the drama that fills the screen. The series globe-trots, hitting France, Germany, Serbia, Belgium, and Scotland within the first four episodes. Writer Jack Thorne clearly has a firm grip on his characters as he thoroughly maintains their identities throughout the variety of locations and correspondingly trying circumstances. What it means to do the right thing, and the situational ethics that often comprise that quandary, are investigated with a laser focus that asks its audience to play along, rather than hitting them over the head with a resolute conclusion to its quagmire. This is especially apparent in how the show navigates its three distinctly juxtaposed central characters as they each converse with those sharing contrary opinions on certain matters. Though lacking in visual color, the series offers a cast of characters that are exceedingly vibrant, and its sprawling supporting players prove especially pivotal in this regard. They all add a needed texture of reality, seldom seen in the black-and-white approach to crime dramas. There is a cafeteria of perspectives to be heard here, and Thorne gives them all a hugely engaging voice. Jumping into The Last Panthers requires an icy entrance before the waters warm to more than endurable temperatures. Once it heats up though, it never backslides, effectively ramping up the heat with every sequence. When all is said and done, it’s worth letting this show arrest you.